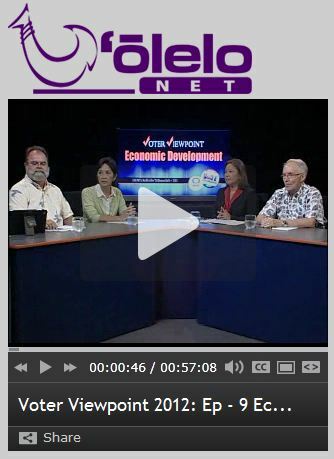 Click above to watch video at olelo.com. 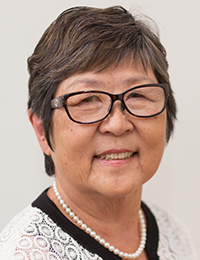 The University of Hawai‘i at Hilo will have an important role in a new statewide economic development initiative headed by UH President M.R.C. Greenwood. Kelli Abe Trifonovitch, director of communications and outreach for the UH Innovation Initiative, recently moderated a discussion on UH’s role in Hawai‘i’s economic development with Peter Quigley, UH vice president for community colleges, Jeanne Unemori Skog, Maui Economic Development, and Mitch D’Olier, president and CEO of Kaneohe Ranch on O‘ahu. UH Hilo Chancellor Donald Straney encourages everyone interested in learning more about the UH Innovation Initiative to watch the video, which includes discussion about the important role of UH Hilo in future economic growth of the state. Learn more about UH’s Innovation Initiative.